So you’re starting a blog. Good! But what should you start with? In today’s episode, we discuss the 3 kinds of blogs that make for a killer debut. 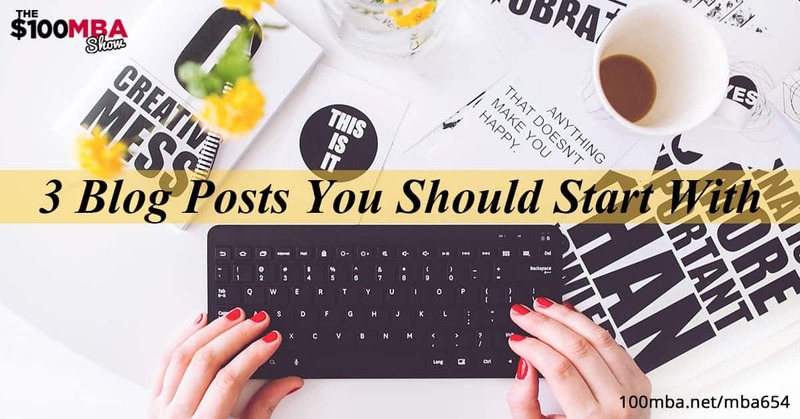 With these opening blogs, you can make your mark, stand out from the crowd, and start earning credibility right away! Listen in and hear how you can knock your audience dead – right out of the gate! You don’t need to be a web designer or a coder to create beautiful-looking websites, a blog or an online store. You can do it in minutes with Weebly! You have no more excuses and you can do it right now, today! Just go to weebly.com/mba and get started for free.